Sometimes from the depths of despair come forth strength, beauty and inspiration. Such is the story of Newcomb Pottery, the American art pottery cultivated within and representative of New Orleans. 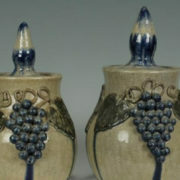 The Newcomb Pottery Enterprise was a vocational training program within the art education curriculum of Newcomb College. The program came out of the vision set forth by Josephine Louise Newcomb, the benefactor whose gift founded H. Sophie Newcomb College in 1886. The philanthropist made the donation in memory of her daughter Harriott Sophie Newcomb, who died at the age of 15 from diphtheria, according to information at the Newcomb College Institute site. 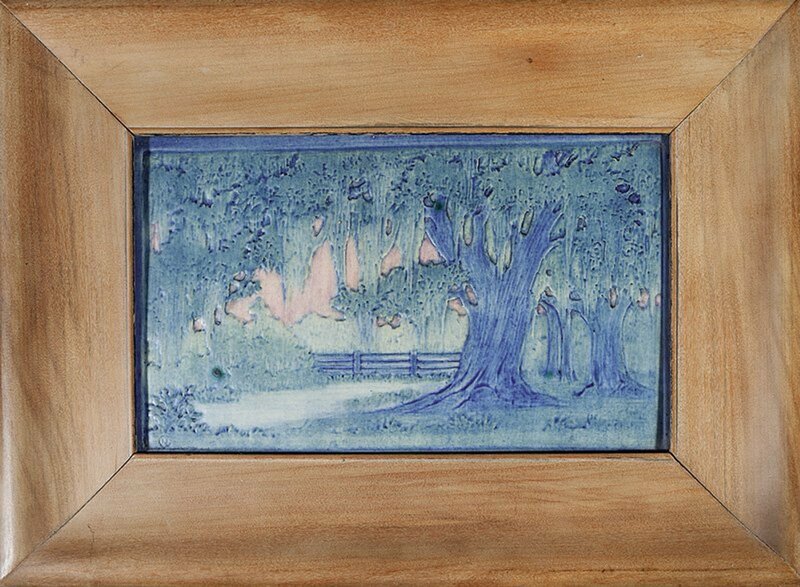 Art pottery plaque, circa 1918, decorated by Anna Frances Simpson with a landscape design of a moss-laden live oak set before a fence, featuring a matte glaze with blue, green ad pink underglaze, cipher at lower left, decorator’s mark, retaining the original paper label, 6 in. x 10 in. Sold for $8,500 during a November 2014 auction Neal Auction Co. image. The college made history, becoming the first degree-granting “coordinate college” operating within a university in the United States; in this case Tulane University. It also served as the archetype for future women’s colleges. 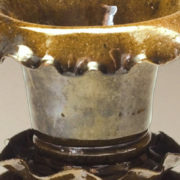 Less than a decade after the founding of Newcomb College, the Newcomb Pottery operation came into being, under the direction of a pair of young art educators, Ellsworth Woodward and Mary Given Sheerer. Drawing on the color and shapes of nature in Louisiana, the student potters and decorators would create utilitarian art pottery with distinctive designs and individuality. Newcomb Note: During its 45-year existence Newcomb Pottery employed about 90 Newcomb College graduates, and together they produced 70,000 pieces of art pottery. Not unlike other items attracting attention in the secondary collector market, Newcomb Pottery gained global acclaim at an major exposition, said Miriam Taylor, external affairs manager at Newcomb Art Museum of Tulane University. 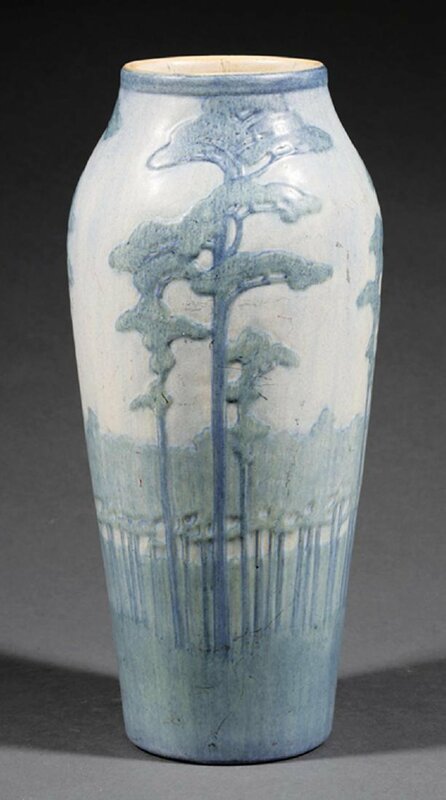 Fine art pottery high glaze vase, circa 1907, decorated by Marie de Hoa LeBlanc, featuring a relief-carved landscape of cedar trees, blue, green and mustard yellow underglaze, base marked with Newcomb cipher, decorator’s mark, Joseph Meyer’s potter’s mark, 14 ¼ in. diameter. Sold for $31,00 during a December 2016 auction. 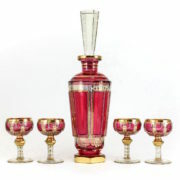 Neal Auction Co. image. “The Newcomb Pottery Enterprise gained international recognition when it received a prestigious bronze medal at Paris’ 1900 Exposition Universelle, a world’s fair that attracted nearly 50 million visitors. The enterprise would go on to win an impressive eight medals during its 45-year history, including a silver medal at the 1901 Pan-American Exposition in Buffalo, New York, and the 1915 Panama-Pacific International Exposition in San Francisco, California. “At the former, Louis Comfort Tiffany invited Newcomb to display their works alongside those of the Tiffany Glass Co., effectively recognizing the New Orleans program as an artistic equal,” added Taylor. 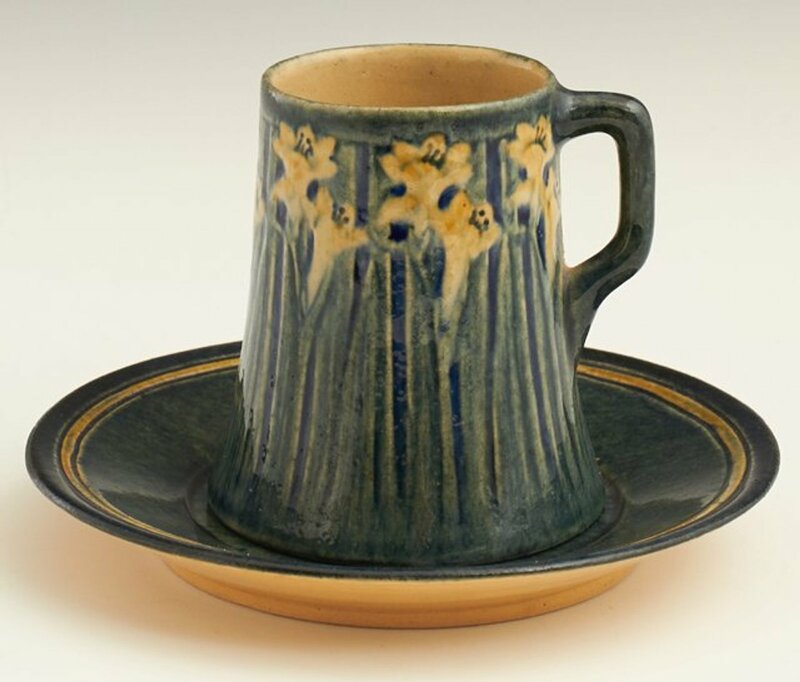 Among the elements of Newcomb Pottery that reflect the obvious influence by the English Arts and Crafts movement is the commitment to handmade design, especially at the turn of the century, and the use of regional materials. 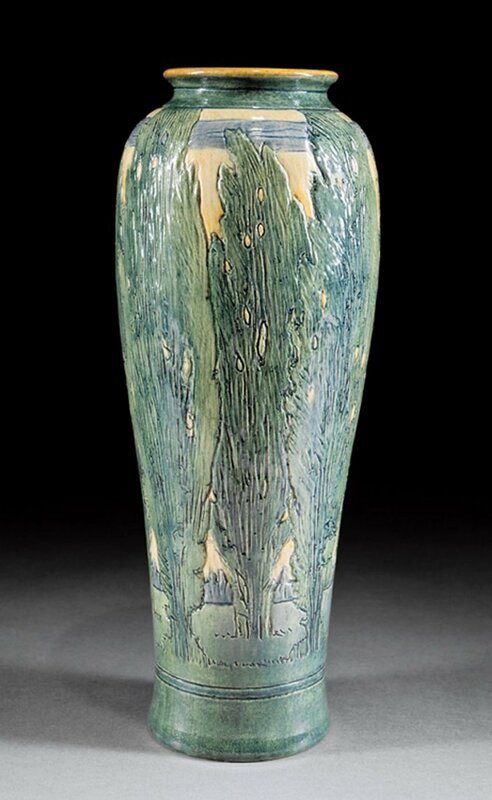 Art pottery vase, circa 1916, decorated by Anna Frances Simpson, featuring pine tree grove design, satin matte glaze with blue and green underglaze, base marked with Newcomb cipher, decorator’s mark, Joseph Meyer’s potter’s mark, 11 ¾ in. x 5 ½ in. Sold for $14,000 during a November 2017 auction. Neal Auction Co. image. Newcomb Note: During the period Newcomb Pottery Enterprise was in operation society viewed it as improper for women to throw the pottery, the process of shaping clay on a potter’s wheel. With this, men, including professional potter Joseph Fortune Meyer would throw the pieces, while female artists perfected the underglaze design of the ceramic objects. 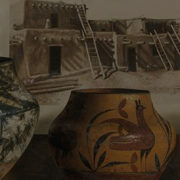 Most objects of Newcomb Pottery bear the potter’s mark, indicators of the clay mixture, and registration marks, as well the mark or monogram of the decorator. Plus, the Newcomb College mark, according to information obtained at www.arts-crafts.com. 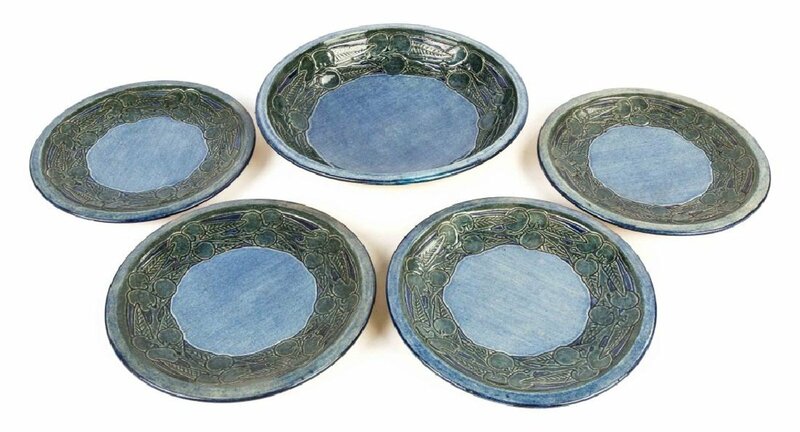 Set of five bowl and plates, plate 8 ½ in. diameter and bowl 2 in. x 10 in. Sold for $3,000 during a November 2017 auction. Cottone Auctions image. 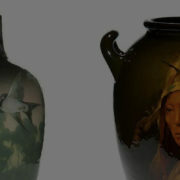 Current prices for Newcomb Pottery at auction range from $1,900 to $2,800, with the best pieces commanding $10,000 or more. 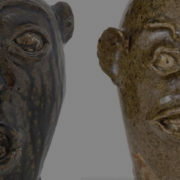 Newcomb Note: The Newcomb Art Museum of Tulane includes many examples of this storied art pottery in its collection, and currently features several in the exhibit “Clay in Places,” which is on display through March 24. Admission to the museum is free, and public exhibition tours are offered the second Saturday and the third Thursday of each month. 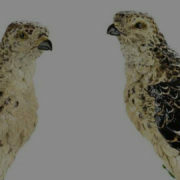 www.newcombartmuseum.tulane.edu. High glaze chocolate cup and saucer, circa 1909-10, decorated by Anna Frances Simpson, featuring a relief floral decoration, cup 3 1/8 in. x 3 in. x 2 7/8 in. Sold for $1,600 during a September 2017 auction. Crescent City Auction Gallery image. 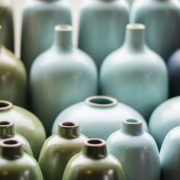 Although it’s been nearly 80 years since Newcomb Pottery ceased production, the influence and impact of this history-making operation carries on.